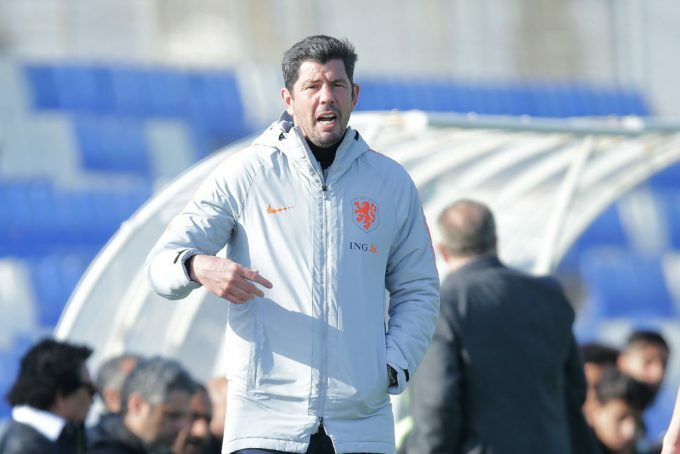 Netherlands U21 head coach Erwin van de Looi has praised Ramadan Sobhi following his side’s victory over Egypt, and had his say on El-Gazzar’s red card. 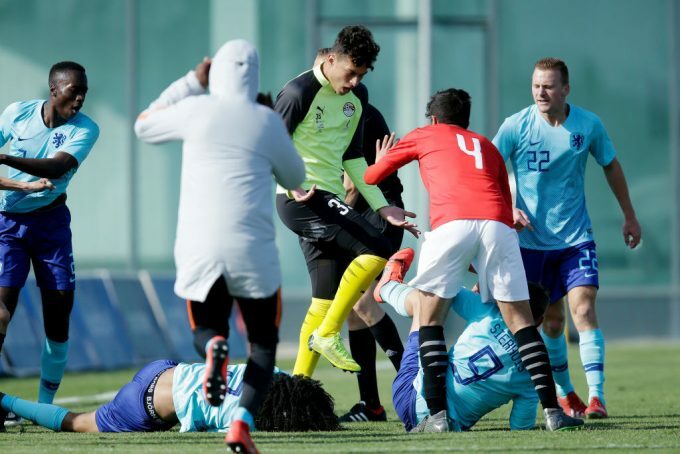 Egypt faced the Jong Oranje in Spain as part of their preparations ahead of the U-23 African Cup of Nations, which could qualify them for the 2020 Olympics in Tokyo. The young Pharaohs had three friendlies scheduled in the March international break, starting with a 2-0 victory over Malawi, before beating the USA with the same scoreline. 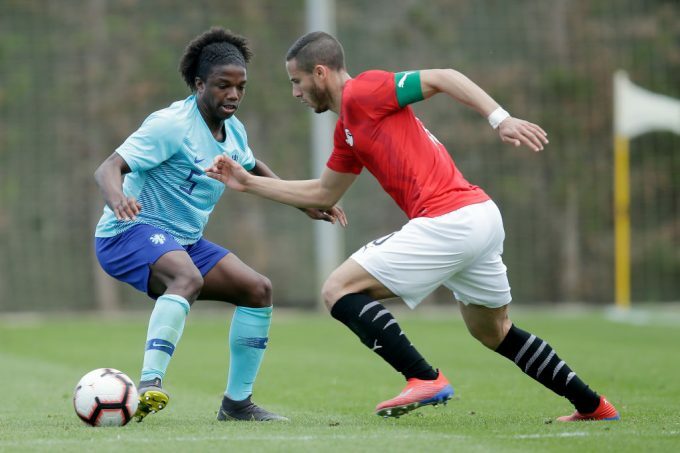 However, they suffered a 1-0 defeat in their final friendly against the Netherlands, in the game that witnessed a massive brawl between the Egyptian and Dutch players after a hard tackle from Mahmoud El-Gazzar on Tahith Chong. The incident led to two red cards for El-Gazzar and Egypt’s substitute goalie Mahmoud Gad and none for the Dutch. Speaking of the incident, Van de Looi, said: “I saw that the Egyptian player came in late with the tackle, but I don’t think he had bad intentions. Everyone wants to win and I don’t see any problem with that. “My team did a great job and faced a very strong opponent. Egypt played very well, especially in the first 20 minutes. We tried to play in our own way, but we could not,” he told ON Sport. Asked which Egyptian player has impressed him the most, Van de Looi replied: “I watched the Egypt game against the USA, and I saw a number of very good players, especially the number 10 (Ramadan Sobhi). “Egypt have a bunch of skilful and strong players, and we are delighted to play against them,” he added. The former FC Groningen manager has then gone on to praise Liverpool winger Mohamed Salah, saying the Egyptian should stay with the Reds. “Mohamed Salah is one of the best players in the world. I like Liverpool’s playing style and I always try to make my team play like them,” Van de Looi said. “Salah is a great player and I think he should stay at Liverpool with his Dutch teammates, Firmino and Sadio Mane,” he concluded.